Having seen the situation of his time, with the continuing outbreaks of plague and pestilence, St. Anthony felt the need to help the “neighbor” in need, especially the sick. He took up medicine, and finished the course, becoming a doctor. While working as a doctor, he realized that there was a far greater need in something that he had to attend to—his “neighbor’s” spiritual infirmity. He became a priest. 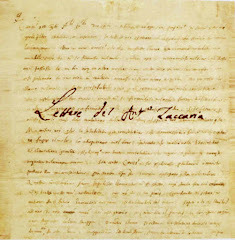 “I have decided to devote myself to the care of the spiritual welfare of my neighbor” (Letter XII). 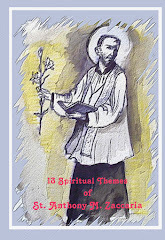 His knowledge of medicine produced in him a great capacity to do his priestly ministry. 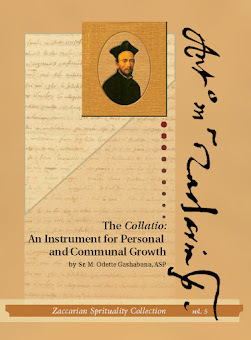 Being aware of the “medicine” necessary to cure sickness, he knew how to deal with the “sickness” of his time, that of the growing decadence of spiritual life and the banishing fervor of the Christian life. He saw lukewarmness as the “most pernicious and greatest enemy” (Letter II) to combat with. And he did. Yet, he combated it with the most tenderness of a doctor, but the strength of a reformer. He went about “curing” and reforming the lives of his “neighbor,” encouraging them to “return to God” (Sermon II). And nowadays, in our time, St. Anthony Mary’s challenge still resounds: “Spend your time helping your neighbor” (Sermon I). For “the way to love God is to love our neighbor” (Sermon IV). Indeed, “God has made your neighbor the road to reach His Majesty” (Sermon IV). Indeed, this painting exposes us this truth, but at the same presents to us the same invitation of St. Anthony Mary: “devote [yourselves] to the care of… [your] neighbor”— who is Christ Himself.